-- Select a Size -- X-Small Small Medium Large X-Large - Out of Stock! 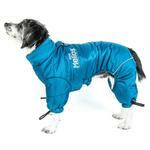 Give your pup the ultimate in protection against the elements with the Helios Thunder Full-Body Dog Coat in Blue Wave. The Helios Thunder Full-Body Dog Jacket features 3M reflective elements and is crafted with exclusively developed Blackshark Technology. This innovative fabric is lightweight, waterproof, windproof, snowproof, breathable, cold-repellent, impermeable and tear resistant. Meant to withstand the harshest weather conditions possible, whether you're caught in a blizzard, typhoon, hurricane, or rainstorm, this is the premier premium plush protective dog coat of it's kind. 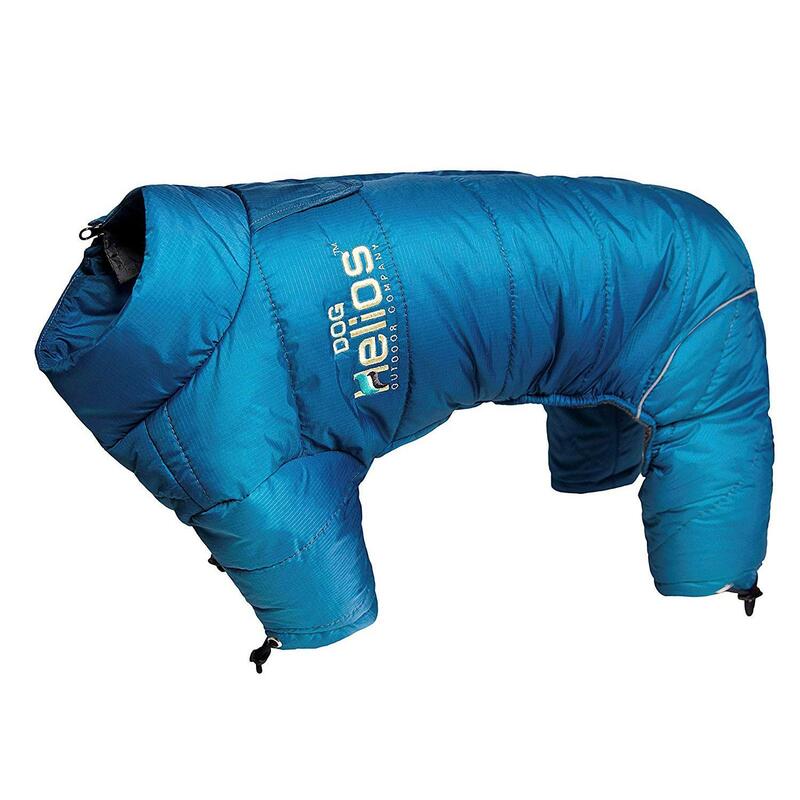 The Exterior shell is composed of a plush-wadded high poly-filled exterior that is double-waterproofed.The interior features a thick layer of extremely high-quality warm and thick anti-static fleece which is also breathable for optimal ventilation. 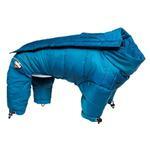 This dog snowsuit is perfect for high-altitude mountaineering or any extreme activities. Features adjustable straps on every leg and features auto-adjustable built-in inner tubed lining. 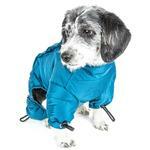 Additionally, this dog jacket features a top entry fur-safe zipper with a VELCRO® enclosure that completely prevents any wind from entering. This dog bodysuit features a covered leash access slit at the neck. 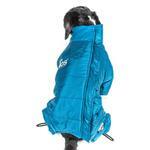 This dog coat features accented embroidery and a print on the Outer shell. Don't let extreme weather keep you from enjoying the outdoors with your pet. Get out with Helios Dog! Available in Multiple Colors and Sizes. Excellent pirces in comparison to other sites. Fre Shipping rocks!